If you’re looking for high quality genuine OEM parts in the Hoover area you are in the right place. Here at Hoover Toyota, we carry a wide variety of parts and if we don’t have the part at our Toyota dealership we can get it to you quickly. If you know the part you need you can order parts online using the provided form. If you need help finding a particular part contact us online, or stop in. 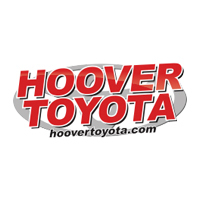 The Parts Department at Hoover Toyota maintains a comprehensive inventory of high quality genuine OEM parts. Our highly knowledgeable staff is here to answer your parts inquiries. Should we not carry a part for which you’re searching, we can always order it for you and receive it within a timely manner.